What to do in Beijing? + Where to stay? Capital of China for more than 800 years, Beijing, is the second most populated city of the country, after Shanghai. 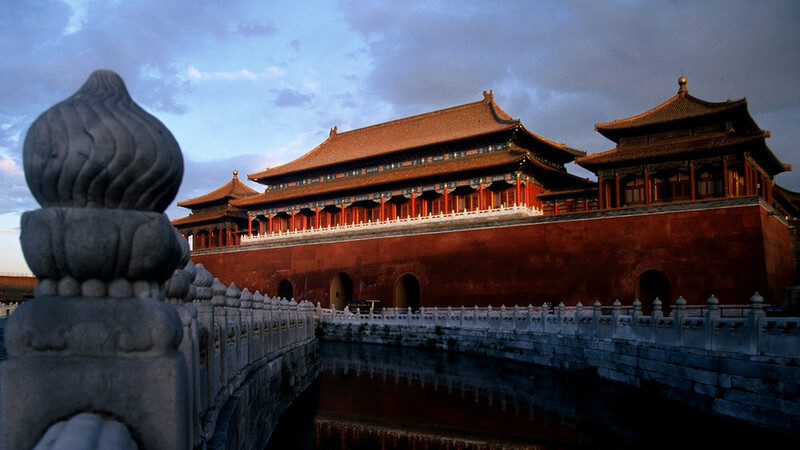 To visit Beijing is to discover the heart of political power and the cultural center of China. To discover all the places of interest in Beijing, I recommend you spend at least 3 or 4 days on your first tour in China . With our guide, discover the 13 things to do, see and visit in Beijing! 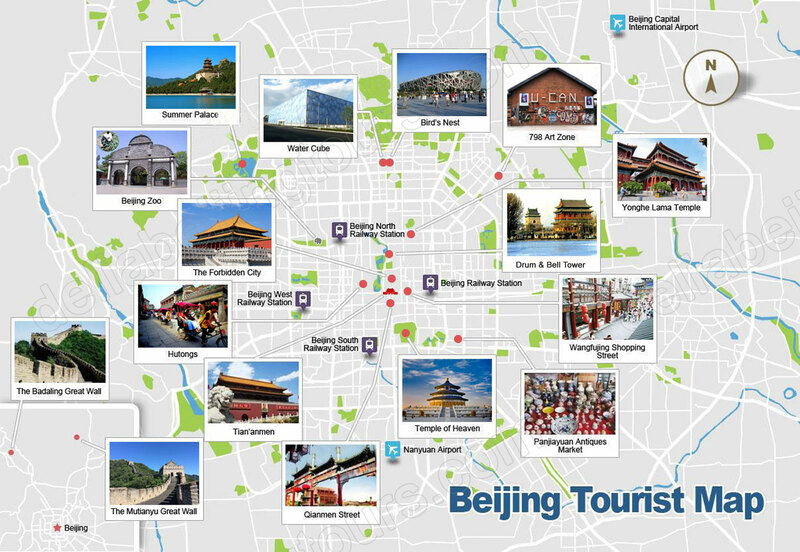 You’ll also find great deals on where to stay in Beijing, as well as examples of routes to visit the city in 1, 2, 3, 4 or 5 days. 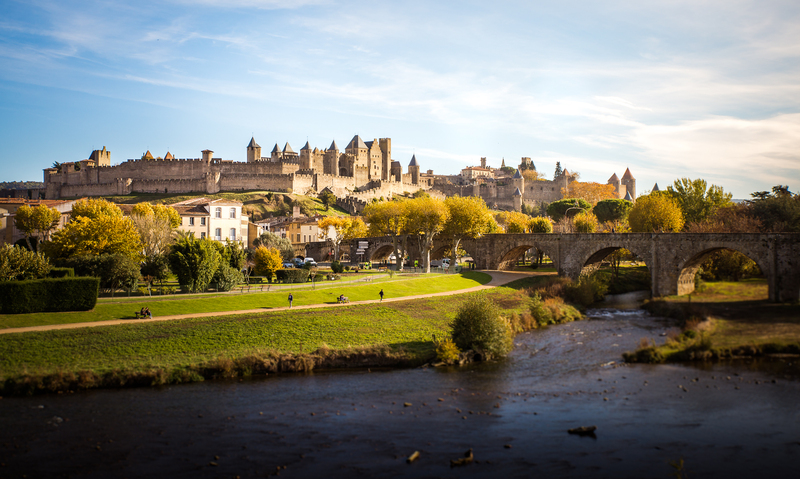 So, what are the tourist attractions to discover? The Summer Palace is, with the Forbidden City, the must visit to Beijing. 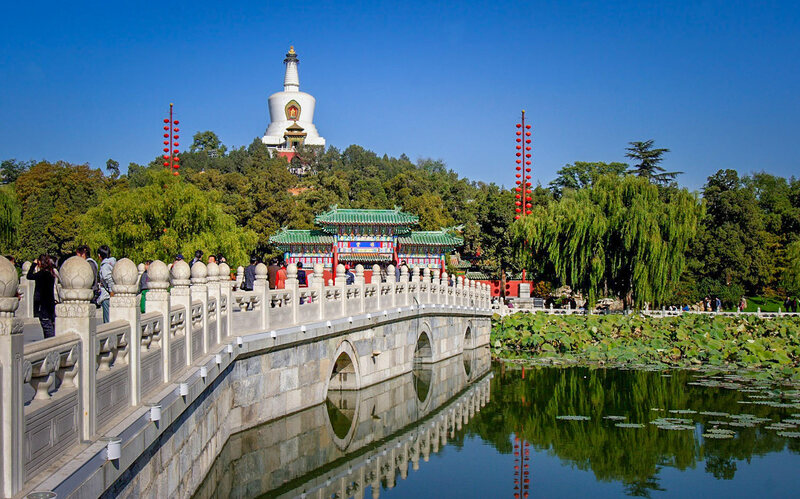 Located to the north west of the city, this UNESCO World Heritage Site includes, in addition to the palace, a huge park with temples, pavilions, halls and bridges of classical Chinese architecture. 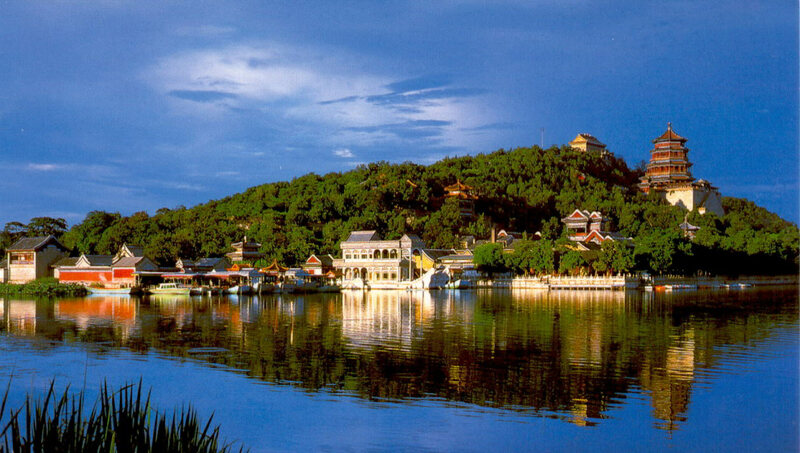 The park is built around Kunming Lake (昆明湖) and dominated by the Longevity Hill (万寿山). The Summer Palace is for many travelers the place of interest to see absolutely in Beijing! To enjoy and go around the gardens, plan a big half day visit. The Forbidden City was, from the Ming dynasty and for almost 5 centuries the residence of the emperors and their court. 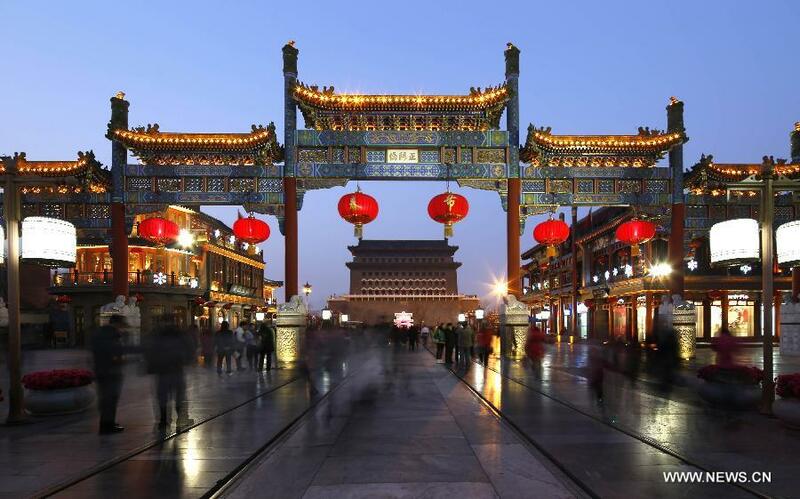 Listed as a UNESCO World Heritage Site since 1987, it is ranked among the 5 most important palaces in the world and represents the culmination of traditional Chinese architectural knowledge. Must see in Beijing! 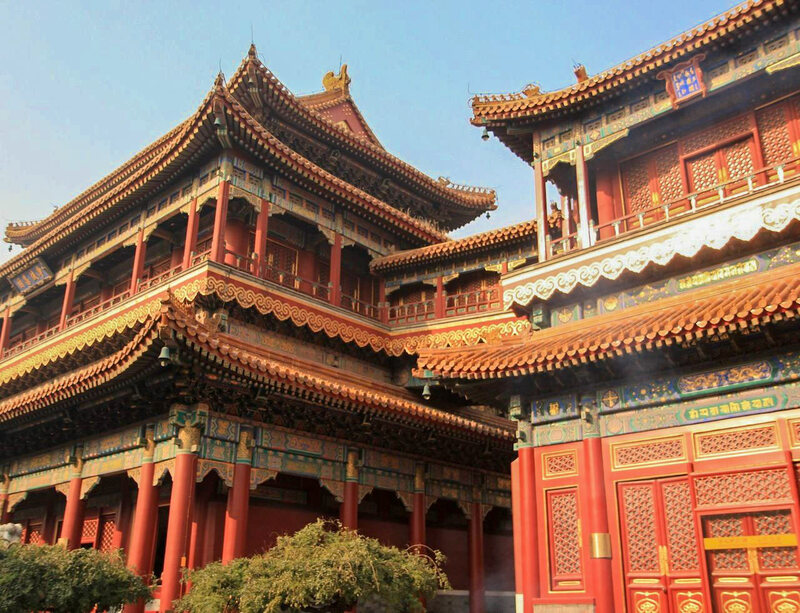 If you want to visit the Forbidden City in its entirety, plan a half day. The main axis can be visited in 2-3 hours, and count well 2 more to walk on the east and west sides! Getting There : Take the Beijing Metro to Tian’anmen East or Tian’anmen West. Forbidden City Times : 8:30 am to 5 pm, every day. The ticket office closes at 15:30. The Hutongs, traditional neighborhoods, form a labyrinth of small streets very pleasant to visit! It’s really nice to hang out there and discover authentic scenes of life, you can spend hours there and not see the time passing. A real return in time! The 2 areas with the highest concentration of Hutongs are the north west of the Forbidden City, and the south of Tiananmen Square, near Qianmen Street. 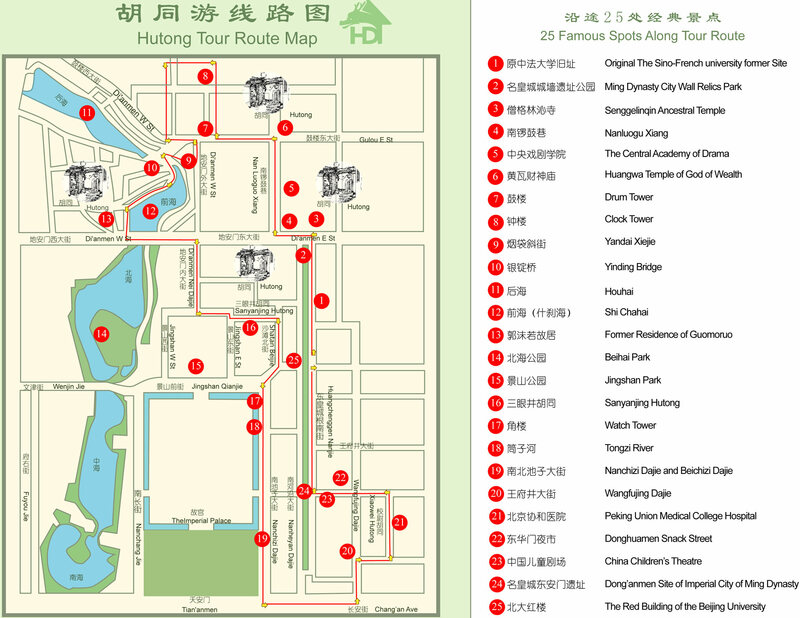 Here is also the map of a (very) big tour of hutongs near the forbidden city, this should help you to make your route! 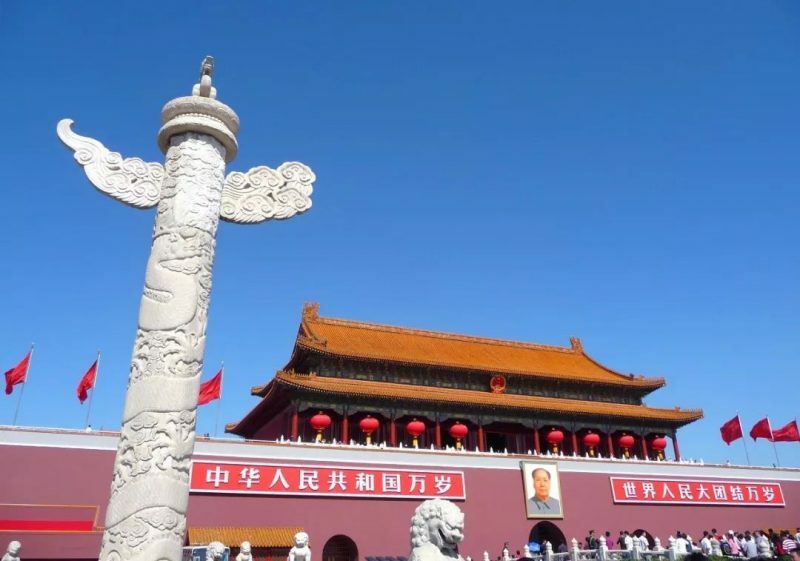 The Monument to the Heroes of the People, built in honor of the martyrs who gave their life during the Chinese revolution in the nineteenth and twentieth century. The mausoleum of Mao Zedong where is exposed the embalmed body of the former Chinese leader. Near Tian’anmen Square, to the west, just behind the People’s Assembly Palace, is Beijing’s National Center for the Performing Arts, sometimes referred to as ” Beijing Opera “. Built in the middle of a pool, it’s worth going around to admire the purity of its architecture reflected in the water! Exit Tian’anmen Square from the south to Qianmen Street, which is the tourist street of Beijing. 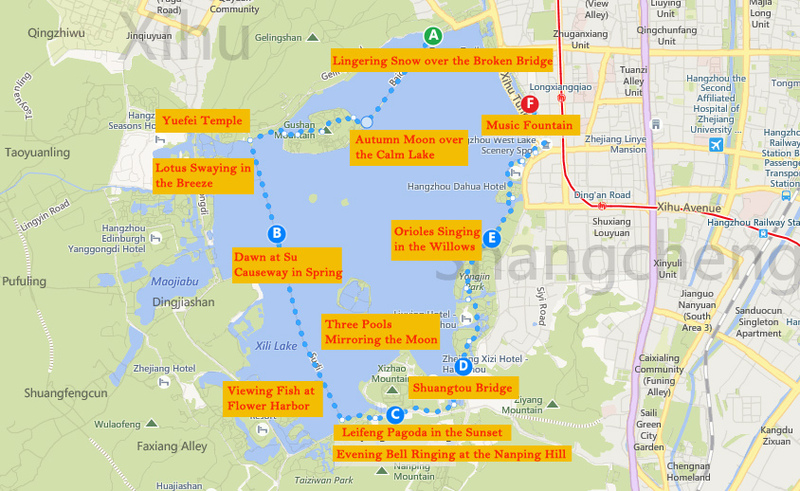 Throughout its length (a little over 800m), you will find tons of shops and restaurants. Do not hesitate to take the small streets around, which are less crowded, less expensive, and more authentic! 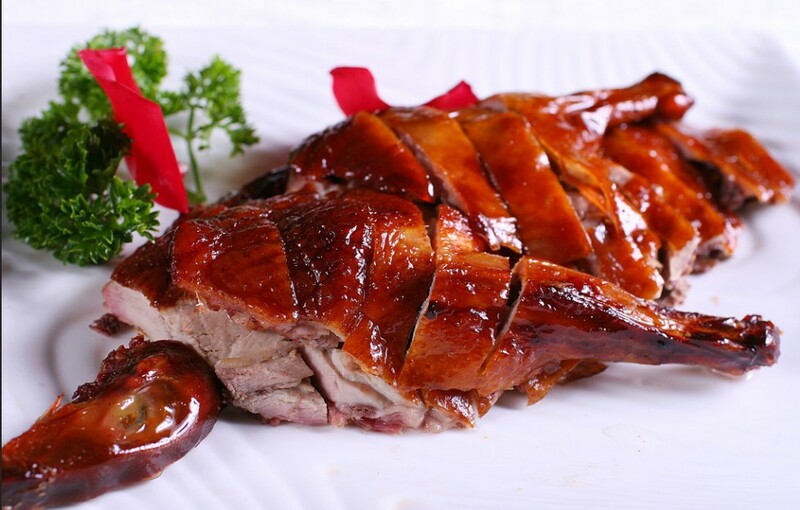 On Qianmen Street and adjacent streets you will see tons of restaurants offering the “Beijing roasted duck”, the famous Lacquered Duck of Beijing. This is an opportunity to taste this monument of Chinese cuisine! 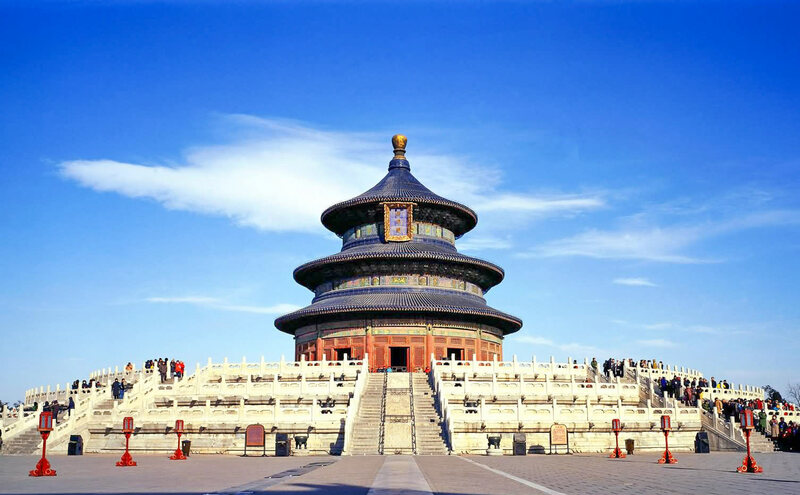 The Temple of Heaven, is located south of Qianmen Street, from which it is also accessible on foot. Symbolizing the connection between heaven and earth, it offers visitors since 2006, year of restoration, a multitude of temples and pavilions to visit, in addition to a large park. The most famous pavilion is the “Prayer Room for Harvesting”, built on a circular promontory, with its cylindrical base and 3-part roof. 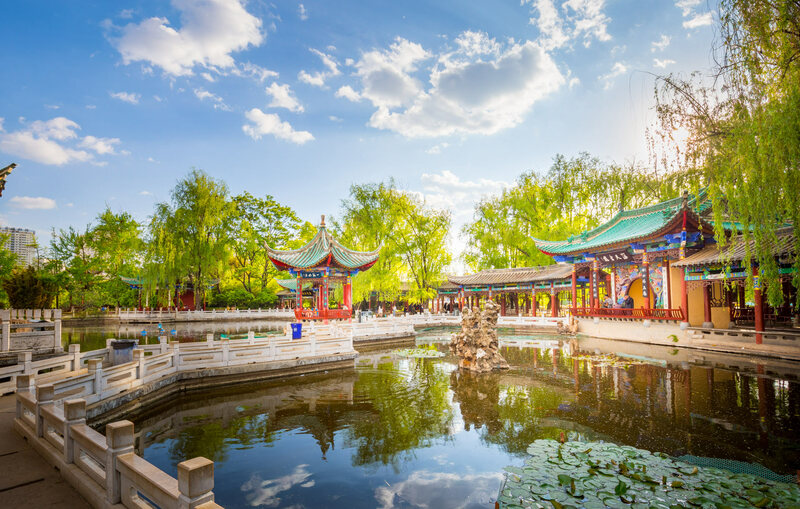 the Ancient Summer Palace, also known as Yuanmingyuan Park is located north of Beijing, east of the Summer Palace. Although close, because of the size of the two sites, it is not possible to do them in their entirety in the same day. 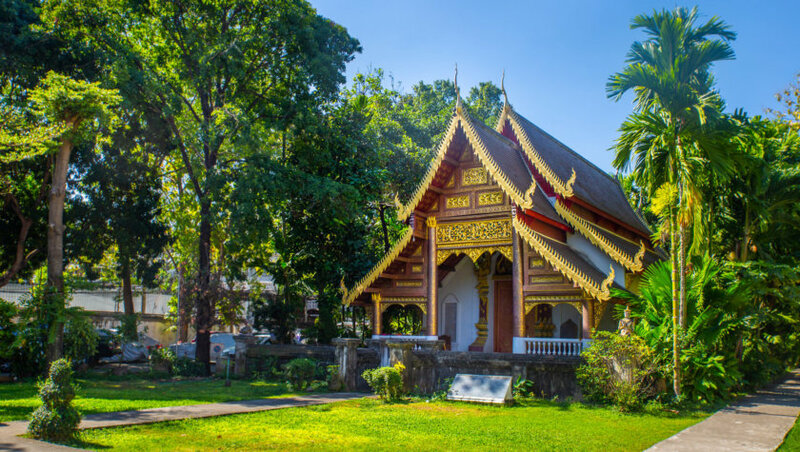 Previously the emperor’s private gardens, this huge park includes, in addition to lakes, canals and gardens, multiple pavilions, halls, and bridges of classical architecture. An archaeological area can also be visited, with ruins of European-style palaces, destroyed during the Second Opium War, in the nineteenth century. When you visit the site, you have the choice between taking the entrance only for the park, or for the park + the ruins. To get to the ancient Summer Palace, the easiest way is to take the subway to Yuanmingyuan Station . 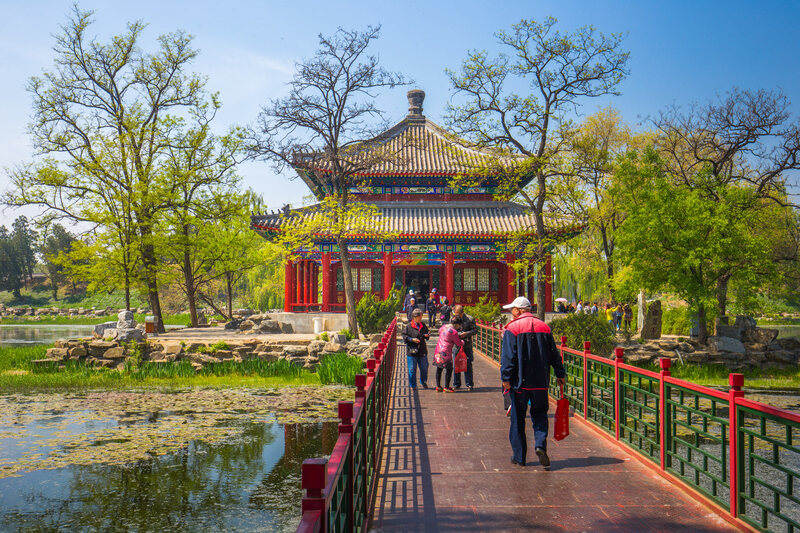 Beihai Park, once a private imperial garden, is one of the oldest (over 1000 years old!) And the most beautiful parks in the country. Now public, this haven of peace, located north west of the Forbidden City, in the city center, consists of a large lake (Northern Sea) on which lies the island of Qiongdao. To discover on foot or by bike, this relaxing place is ideal to get away from the hustle and bustle of the capital! And no, even if it will certainly disappoint some, the Lama Temple is not dedicated to the hairy mascot of Peru! It is the largest Tibetan temple in Beijing, and lies north-east of the Forbidden City. This temple is still active, and you can meet during your visit Tibetan monks among the hundred who live there. As long as you are there, right next to the lamas temple is the Temple of Confucius, which is also worth a visit! Built in the 14th century Yuan Dynasty, it houses the only remaining imperial school in China. More than 2000 years after his death, the principles of Confucius still form the basis of Chinese morality today! 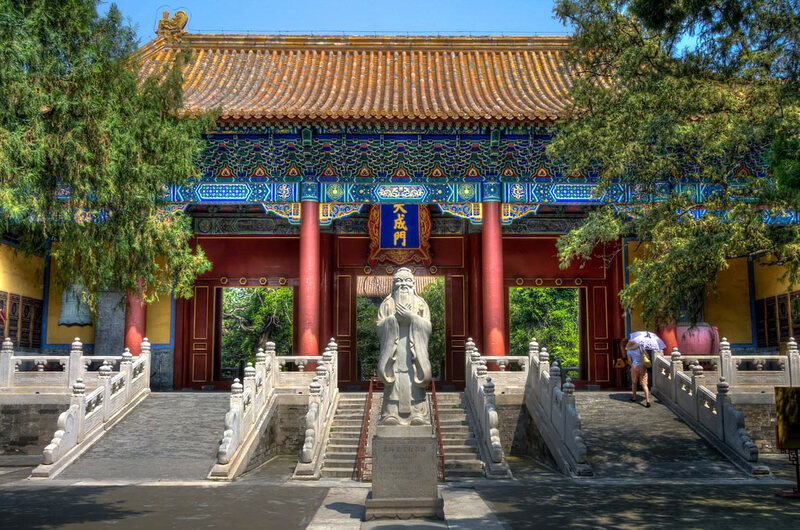 The Confucius Temple in Beijing is the second most important temple dedicated to the Chinese thinker, after that of Qufu, birthplace of Confucius. 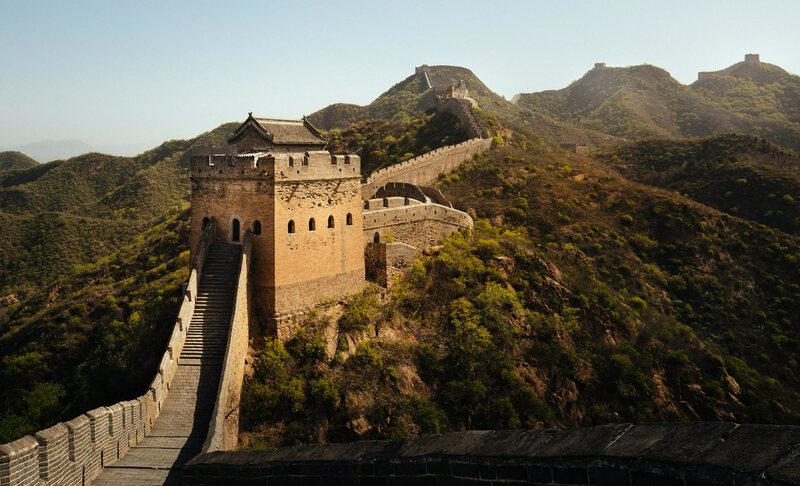 If you go through Beijing on your trip to China, you can not miss a trip to the Great Wall! This is the place of interest! In any case, I suggest you avoid the Badaling section, which is crowded, and will not let you enjoy the beauty of the place. 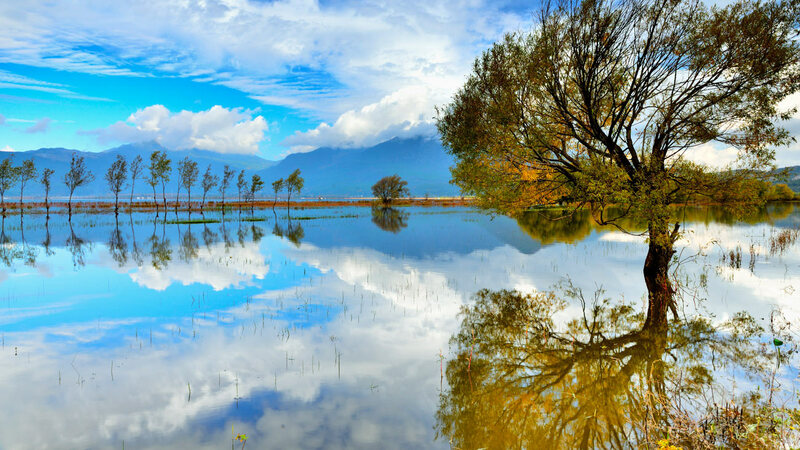 The best section for me is Jinshanling, 120km from Beijing. I recommend you spend the night in Simatai, at the guesthouse “Dongpo Restaurant“. It’s spartan, but the owners are lovely and the food is delicious! Take the bus late in the morning to Simatai, which will allow you, after depositing your luggage at the Guest House, to have a taste of the wall by going up to the WangJing Tower, about 1 hour walk. The more adventurous can attend the sunset before descending. In this case, absolutely take a headlamp! The next day you will be able to visit the newly opened Simatai section and / or the owner will take you to the Jinshaling section by car. When I did it, I met only 2 photographers and 2 or 3 street vendors in the towers in 3 hours of walk! Another very good section of the Great Wall to visit is Mutianyu. 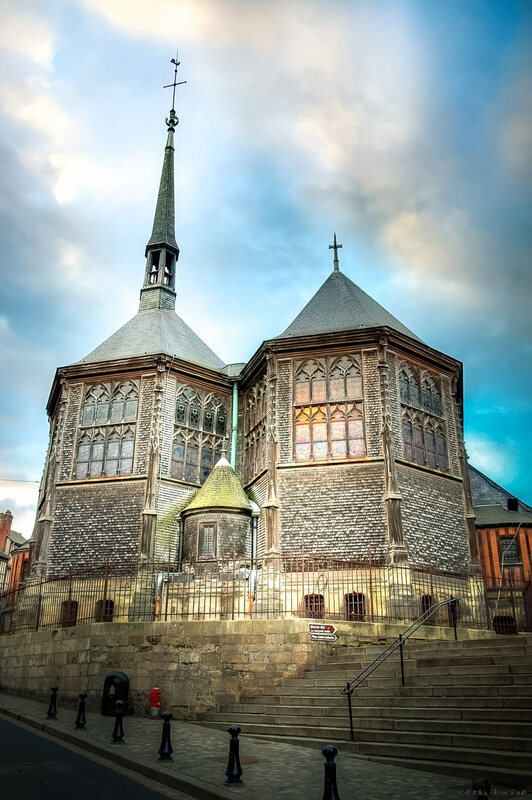 There are also organized tours to the day to go, and it’s really very convenient! The best months to visit Beijing are April, September and October. If you can not handle the heat, avoid going to Beijing in July and August. 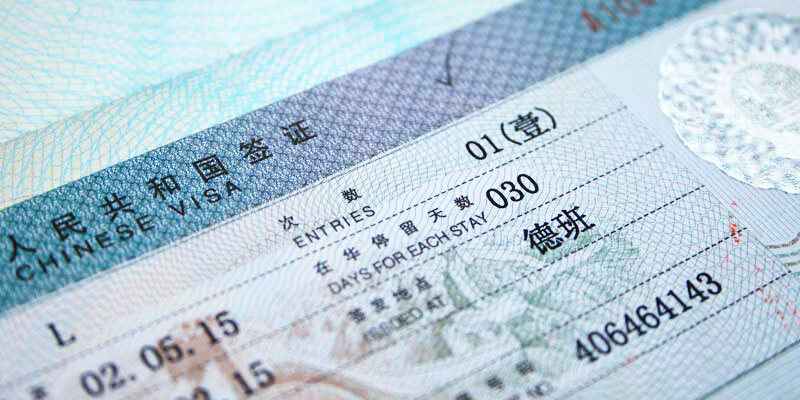 As everywhere in China, it is not recommended to plan your stay during Chinese national holidays, especially the Chinese New Year. Everything is crowded and prices soar! You will find the Chinese holiday dates on this website . I do not think you want to visit Beijing or China in these conditions! You can go to the National Center for the Performing Arts in Beijing, just next door. Also go see the Hutongs around the Forbidden City. In 2 days in Beijing, in addition to the previous itinerary, you will be able to visit another must-visit of the city! Visit the Summer Palace, it’s huge and a little out of the way, the visit will take you the day! Then go on Qianmen Street to enjoy a Peking duck! Day 1 : Visit the Forbidden City , Tian’anmen Square , Qianmen Street (to eat lacquered duck!) And the Temple of Heaven on the same day. Day 3 and 4 : Make the Great Wall of China, as indicated in this route section . Here are my favorite hotels to sleep in Beijing. 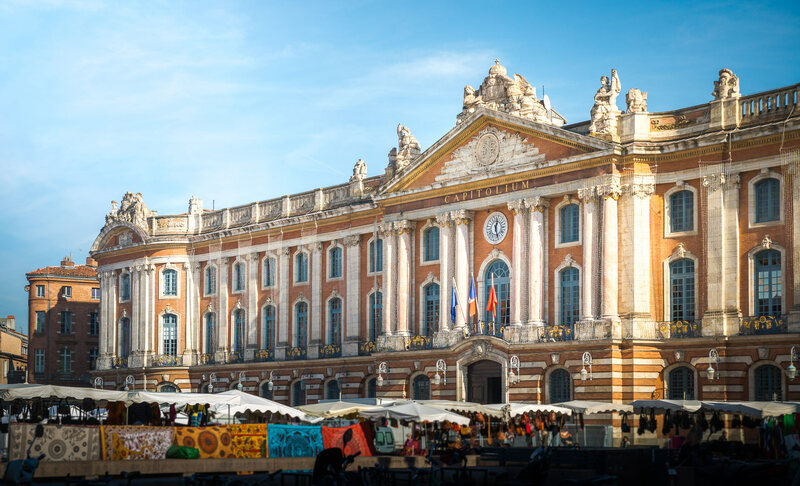 Book in advance to benefit from the best rate! And you, what did you plan to visit during your stay in Beijing?